A graceful arching small shrub with small white beneath the leaves in late spring. 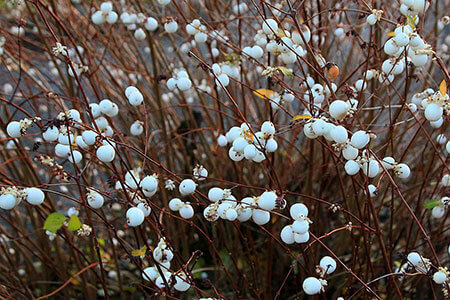 White berries then appear and stay along the branches till long after the leaves fall in autumn. Ideal for use in cut flowers or as a contrast to the autumn foliage.